It actually looks quite good.. Not what you expect for the price, huh? It's not some dark dodgy place filled with smoke and hookers. There's even a lift complete with someone to open the lift door for you! 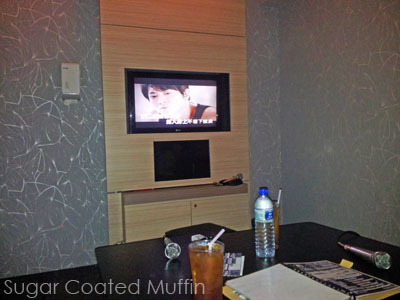 =_=" I went to the Kota Damansara branch, btw. There's a touch screen (which is kinda blocking the way, actually.. 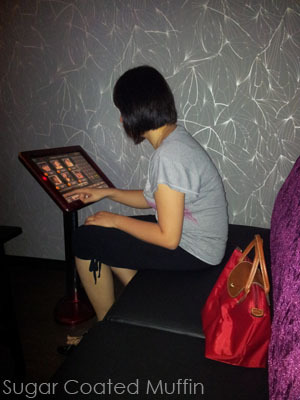 Since we were placed in a small room) for song selections. IMO, the songs available weren't that great. More choices would have been better. And preferably more up to date songs? I have not even heard of a big portion of them..
Each person is entitled to 2 drinks except for Noon K & if you took the half/promo price. 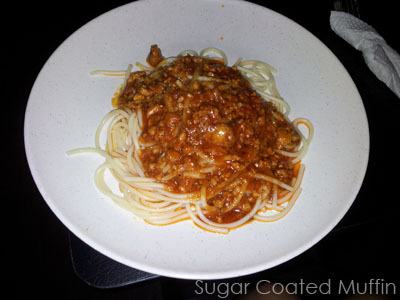 I was starving so I ordered this delicious looking Spaghetti Bolognese for RM 12.90. Not even a tiny sprinkle of green or cheese? 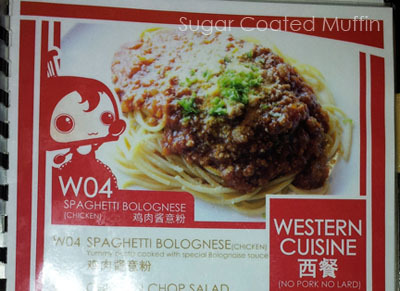 I think I lost my appetite just looking at it. It didn't taste like RM 12.90 either. I would so choose the aglio olio seafood at Pizza Milano over this any day! But not entirely their fault.. The guy DID recommend the chicken chop but I ignored it cos I'm a pasta person. Pfft..
For the price list, click HERE. 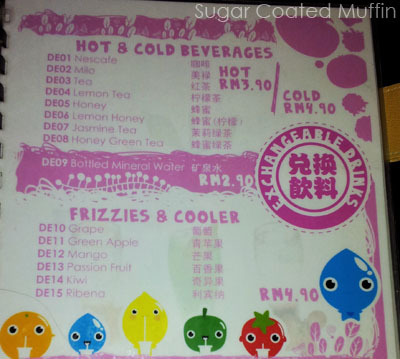 The maximum charge is only RM 28! Conclusion : Go for the cheap price and to scream your lungs out, not the food.